The Mic level slider is a digital gain. The slider controls the gain after the pre-amplifier and A/D converter. Consequence: if applying a gain below 0dB (attenuate) the resulting level will not reach 0dB anymore. So for example, if the gain is set to -7 dB, the maximum Mic level will also be -7dB. Use attenuation only when you temporarily need to lower the Mic level. 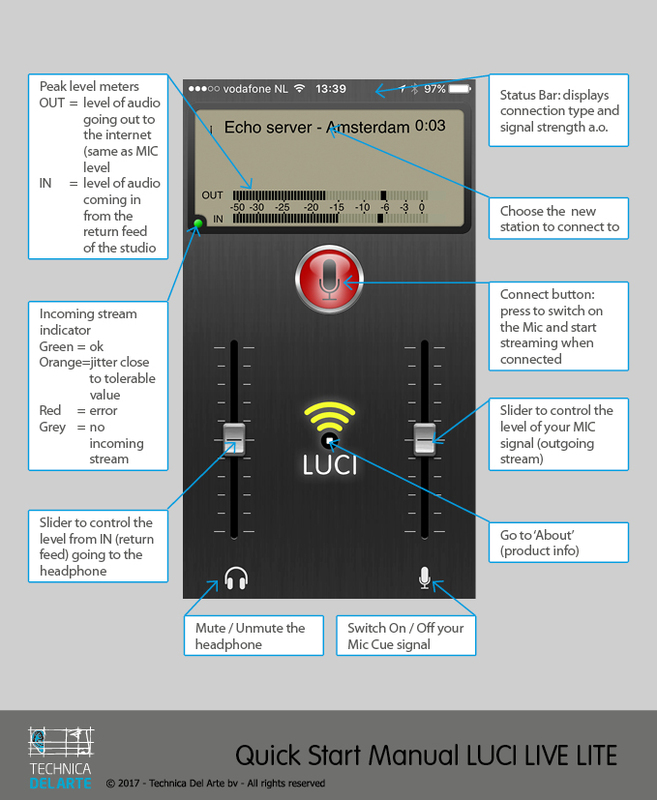 When you apply a gain above 0dB Luci will use a limiter to make sure the input is not overloaded. So, in short, first make sure that the audio input can not be overloaded and then use the Mic slider to amplify the signal to your desired level. This way you do not need to worry about over-modulation/distortion.